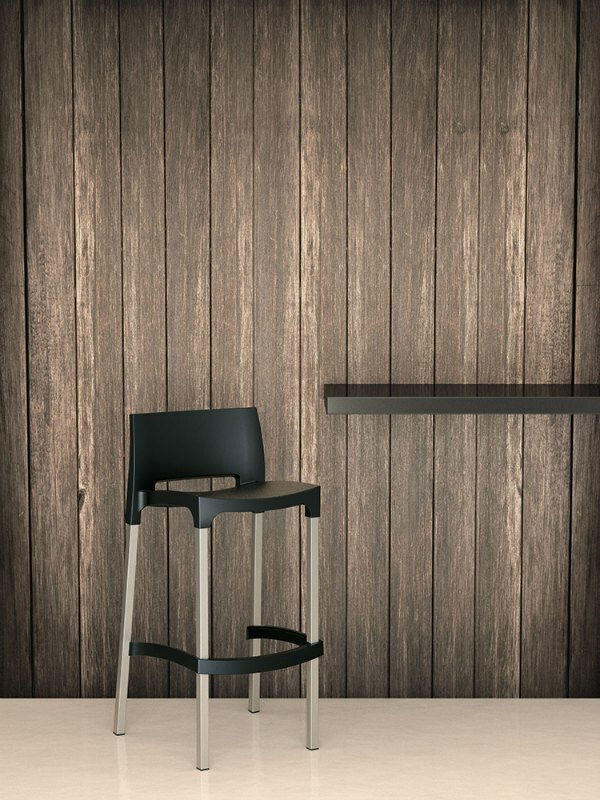 Enjoy the luxury of the Gio Stool, a commercial barstool designed for maximum durability, lasting beauty and ergonomic comfort. Take your cafe, restaurant, hotel, resort, holiday park, club, function centre or interior design business to the next level with attractive, durable, non-fading, non-cracking Gio Barstools at budget friendly prices. So go ahead and take a dip in the pool or ocean. 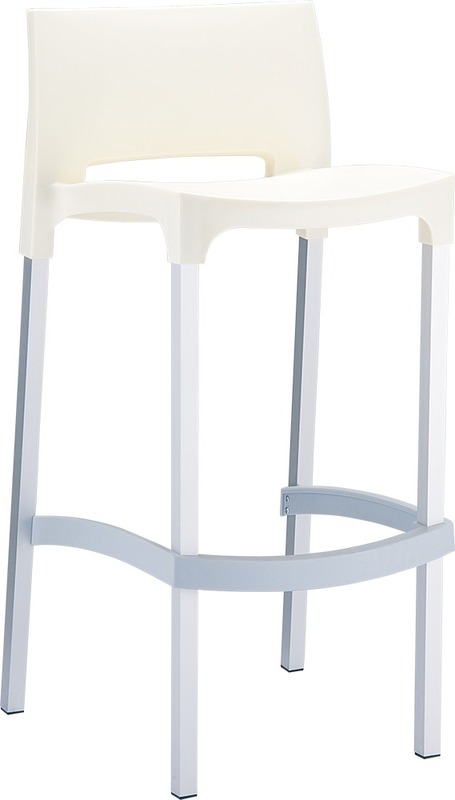 Pool water, seawater, sand and spilled drinks will not damage your Gio Stool even in the slightest. 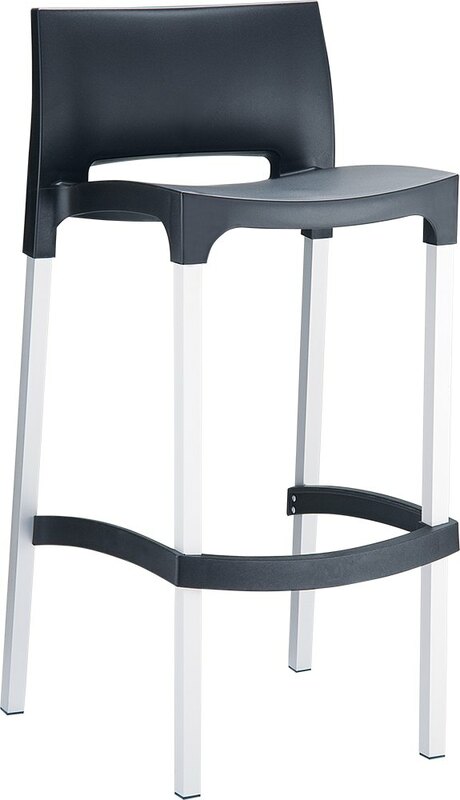 Another advantage of the Gio Stools is that it is made of flexible plastic which is able to flex and remain safe and stable under heavy load. 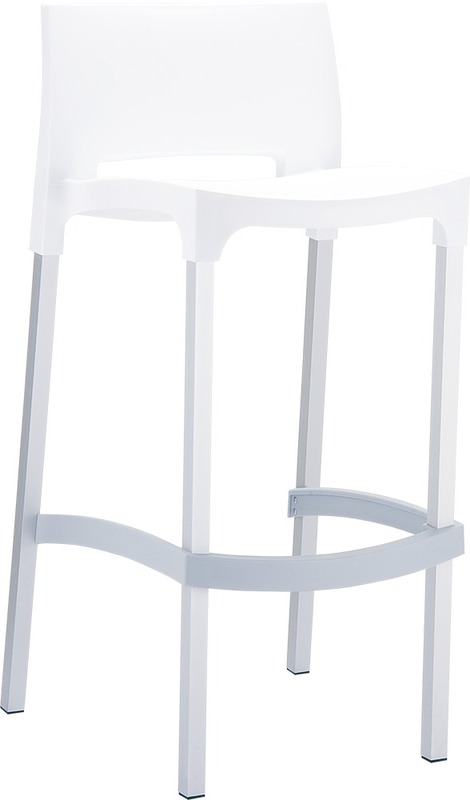 All this is because the Gio Barstool uses high quality materials and sophisticated air moulding technology. 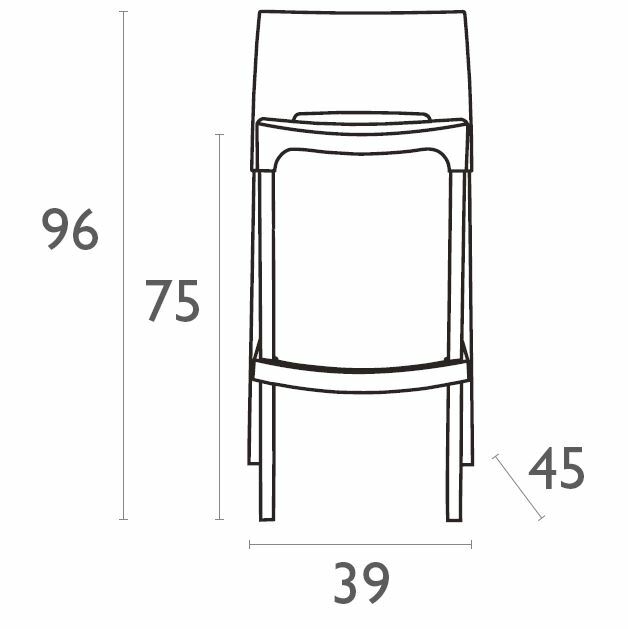 These flexible chairs are further reinforced with UV stabiliser to protect it from fading, warping and cracking even after years of daily outdoor use under rain, snow and sun. Additionally the aluminium legs are anodised, they will not rust when used outdoors in coastal areas. 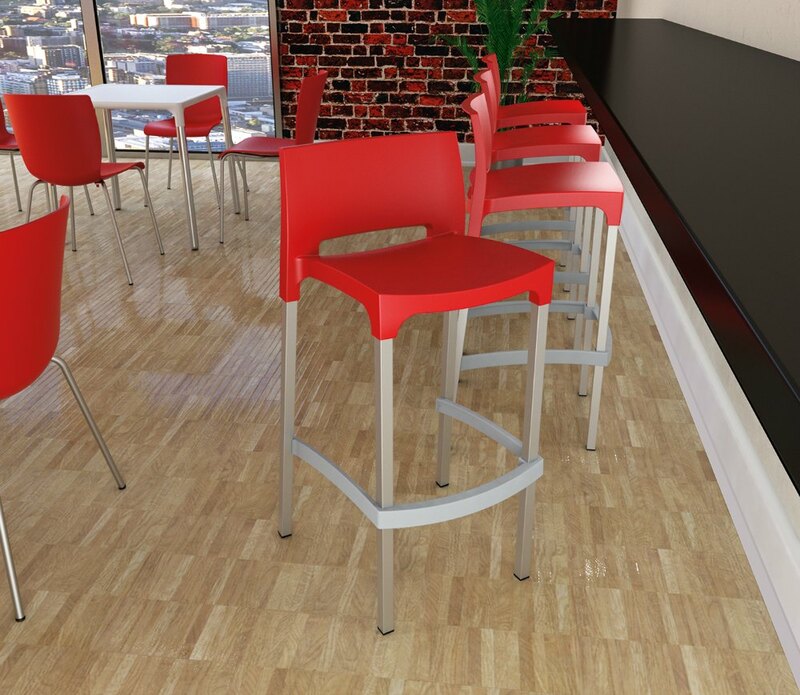 Whether you’re a hospitality furniture company, cafe designer or restaurant entrepreneur, the Gio Barstool has everything you need and more. 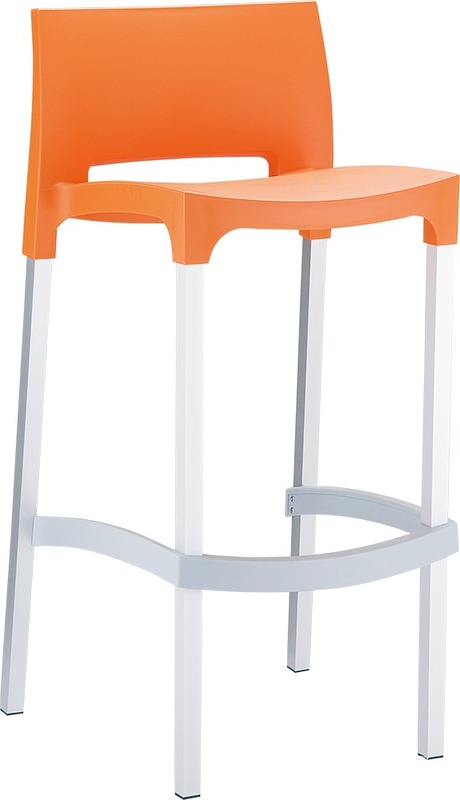 You’ll find that the Gio Stool offers the right mix of classy aesthetic appeal, ergonomic comfort and stability that your prospects and customers will find hard to resist. 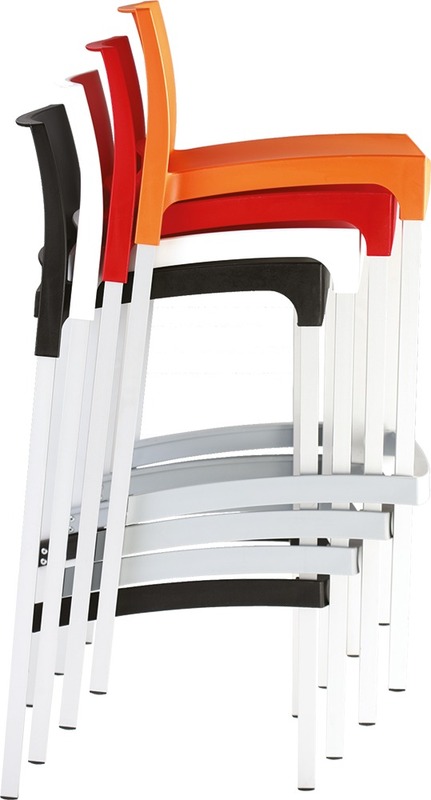 The Gio Barstool by Siesta has been tried, tested and proven in the Australian market for more than 10 years. It has exceeded all expectations with its long lasting durability. This stool will never disappoint you. 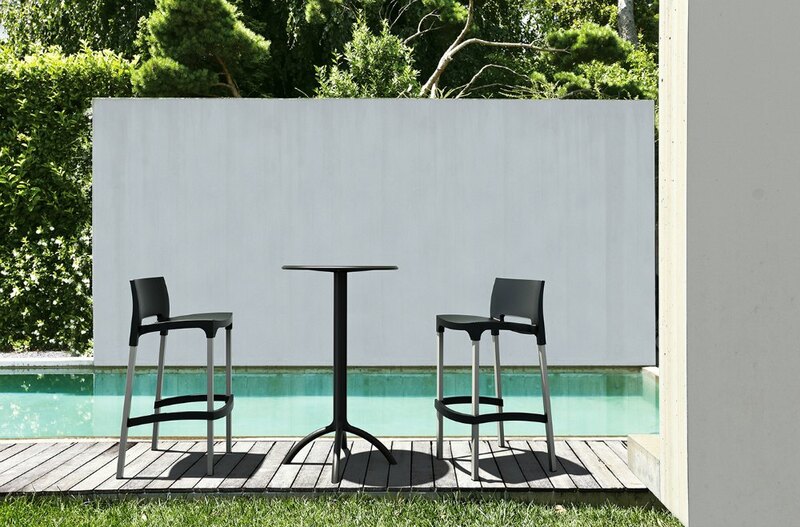 Gio is the matching stool to the Vita Chair and Dolce Armchair.